A miter saw is an important wood cutting tool. 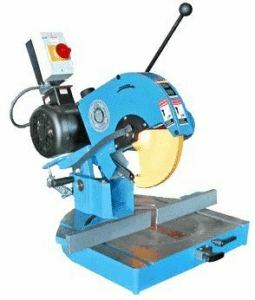 It is a type of circular saw designed for making angled bevel or miter cuts as well as right angled cuts. Normally, it comes with a metal blade which spins at a very high speed in order to cut through the work piece which can be wood, plastic, vinyl or even certain types of metal material. 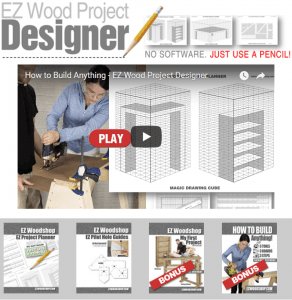 Miter saws are very useful, but they can also be dangerous tools to work with. 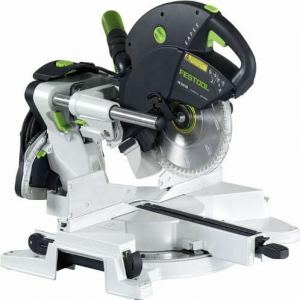 A miter saw is a power tool, meaning that it has a motor that generates the force which spins the blade. It also has an on/off switch for starting or shutting down the miter saw. It comes with a trigger or similar feature for throttling the saw. The blade rotates and spins faster as you press on the trigger-like switch. 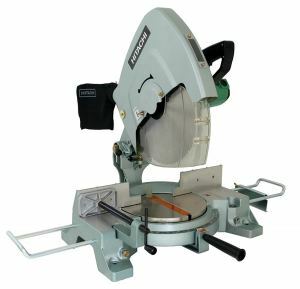 Generally, miter saws help woodworkers to make cuts that they will not be able to make with other types of saw or cuts that make for efficient jointing. However, working with the tool just like every other tool exposes you to risk of getting injured. So, if you are working with a miter saw, you need to be very careful and take the recommended safety measures seriously. Below are some of the injuries associated with miter saws that you should watch out for and take precautions to avoid. Some of the most frequent injuries that may occur when you are working with a miter saw are eye injuries. 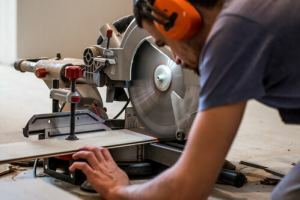 As you are cutting with a miter saw, the gullet and hook angle of the blades are removing some portion of the materials to make the cutting possible. These materials come out in form of sawdust or dust particles. Most miter saws today come with dust bag for the collection of the dust. However, these bags are not very efficient in trapping all the flying dust or controlling them so that they will not fly out. The flying of sawdust during cutting poses some risk to the eyes. If you do not wear protective goggle, these materials can enter your eyes and cause you strong pain. Sometimes, the injury can result in surgery depending on the hardness of the material that hit the eye. These particles fly out with high speed and when the eye is hit, it can result in complications. Besides the risk of sawdust and particles, loosed parts can also tear out with force from a cut and hit the eyes. This is more damaging to the eyes than saw dust. To avoid this type of injury, it is of crucial importance that you put on protective eye glasses or goggles. It’s better to have scratched or chipped glasses than to have a heavy piece of material contact your eye! Another precaution against this injury is to check your miter saw clamps and saw base to make sure everything is tight and secure. There is no doubt that many people may be wondering how working with a miter saw can cause injury to the ear, but it is very possible. 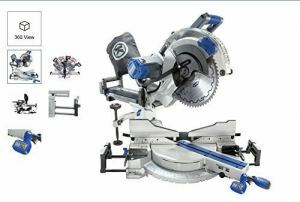 A miter saw is a power tool, and like every other power tool it makes a lot of noise when it is being used for cutting. Apart from the noise generated by the engine of the machine, the cutting of the wood itself also generates some noise which can also be disturbing. Working with a miter saw exposes you to a noisy environment. The noise can affect your hearing. Many woodworkers or miter saw users can develop hearing problems over time because they are not aware of this problem. So, to avoid this happening to you it is important that you put on ear buds, plugs, or muffs to protect the ears. In this way, you will shield yourself from future hearing problems related to miter saw usage. Physical injuries may also occur when one is working with a miter saw. The most common of these is off-hand injury. This normally occurs when you cross your hand over the blade as it is moving. Sometimes, the nature of the cutting may require you to hold the machine with your left hand and the work piece with the right hand. Some people may not be comfortable with this arrangement and they prefer crossing their hand over the blade’s path in order to make the work easier. Sometimes, this can result in injuries. Always wear protective coverings and make sure that you read and apply the manufacturer’s safety guide tips. It can be beneficial to wear heavy work gloves and long sleeve clothes while using your miter saw, just in case contact with the blade does occur. This sort of apparel will help you get the least amount of injury possible. 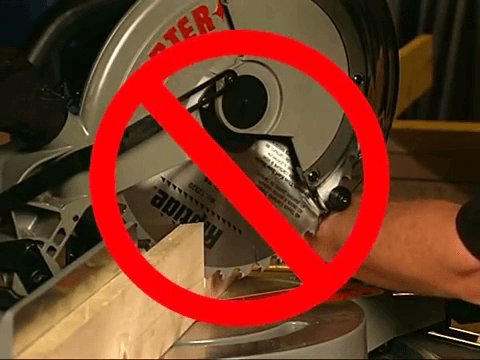 Stay alert whenever you are using a miter saw. While these saws are not inherently dangerous, they can cause bad injuries to those who are not well enough prepared and who are not on the lookout for possible danger from their saws. Take the above information to heart and follow the precautions mentioned if you want to lower your risks of injury when using a miter saw!